Perhaps no part of an Over-and-Under takes the brunt force of stress more than the joint between the action and the barrel. 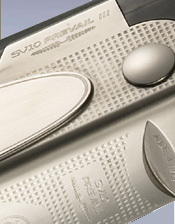 Thanks to a significantly larger size with more support, these reinforced hinge pins offer the maximum resistance to the stress that occurs over years of shooting. 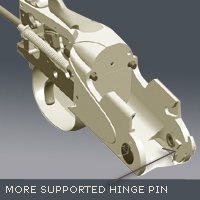 Though the size has been increased, these improved hinge pins are well proportioned and are supported by a special internal reinforcement shoulder that adds years to their longevity. 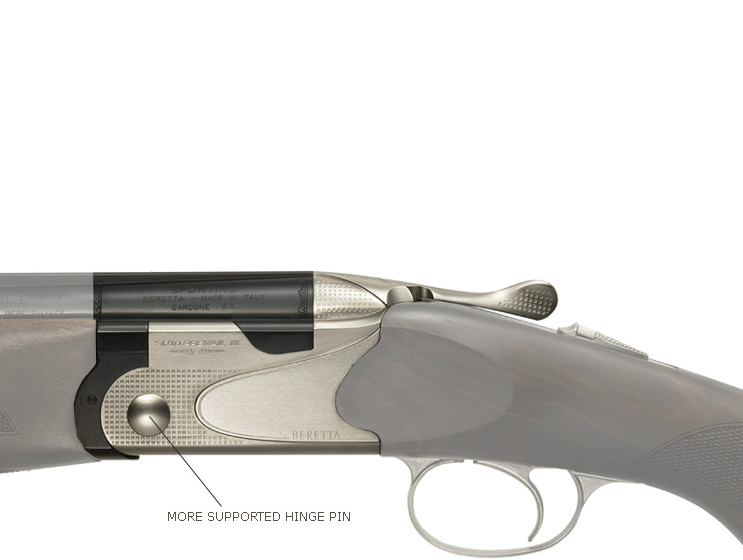 Because the pins are positioned as close as possible to the lower barrel axis, they flow and blend more elegantly into the receiver, while allowing it to be stronger and more compact.